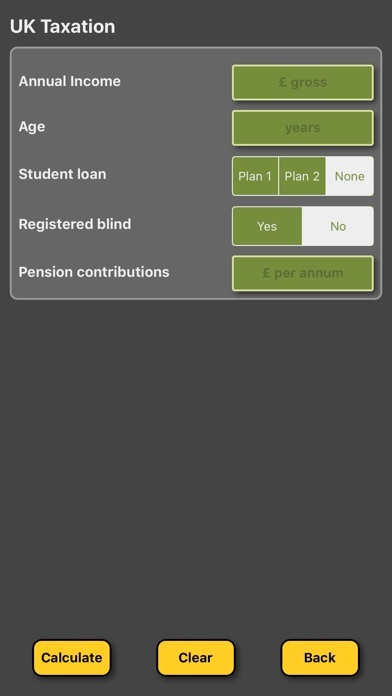 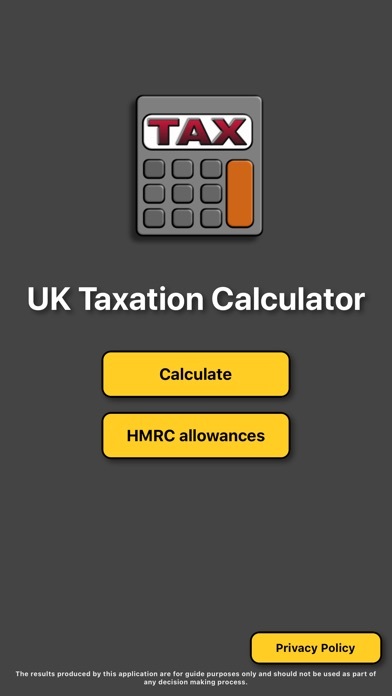 Simple and effective application that allows you to calculate your take-home salary and see what deductions can be made to your salary. 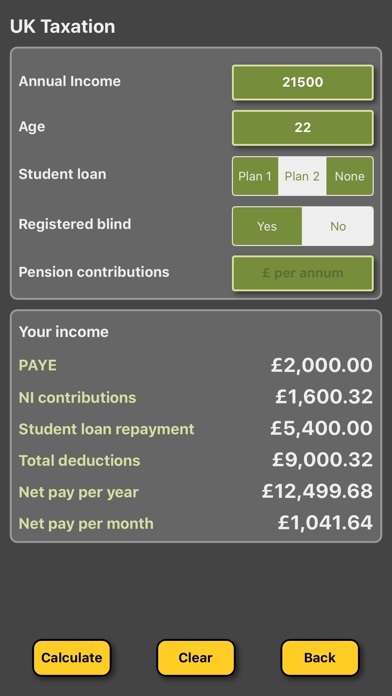 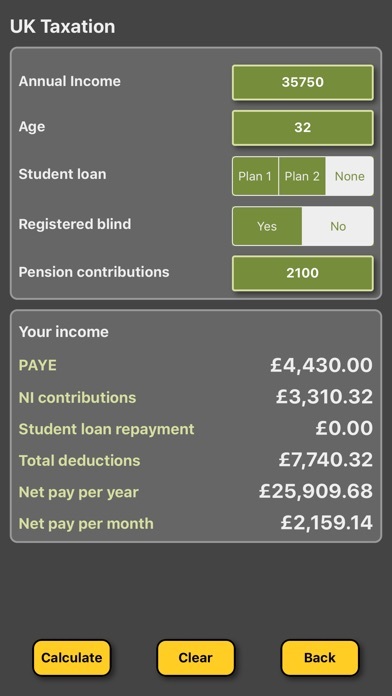 See at a glance any PAYE, National Insurance and student loan repayment deductions and more importantly, what you get in your pocket after all these tax deductions have been taken off. See your net pay in both annual and monthly terms. 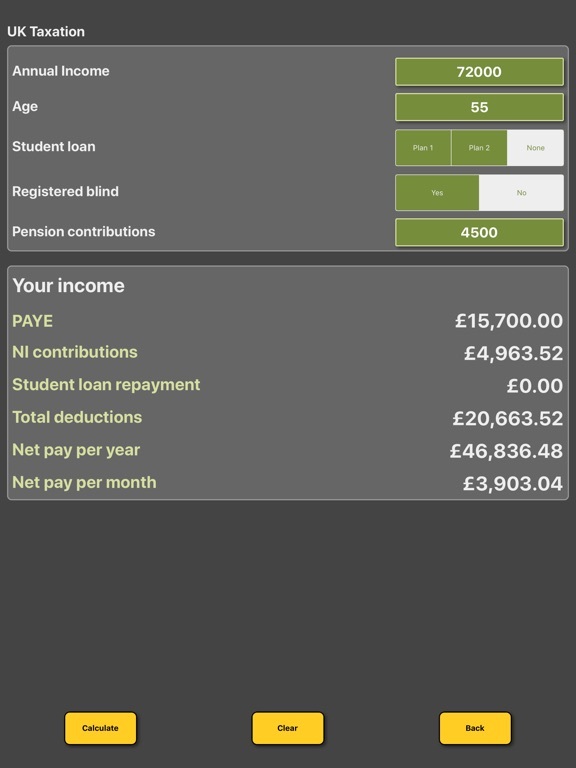 and any annual pension contributions. 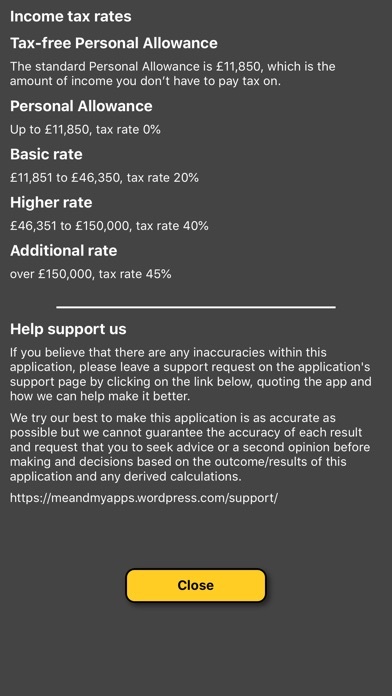 Please note the calculations are based on UK taxes. 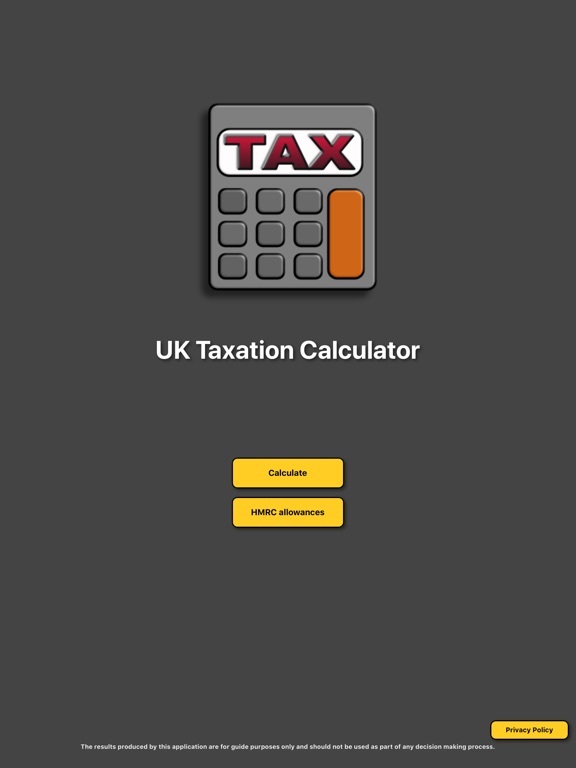 Changed icon, small calculation optimisations.